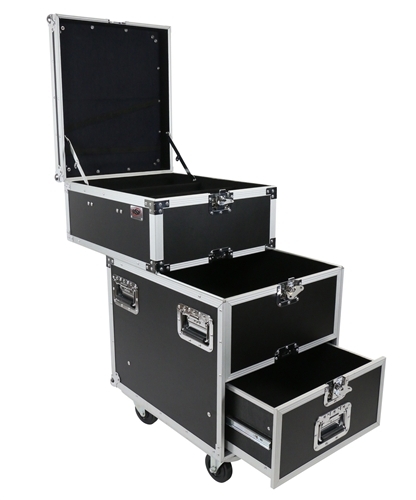 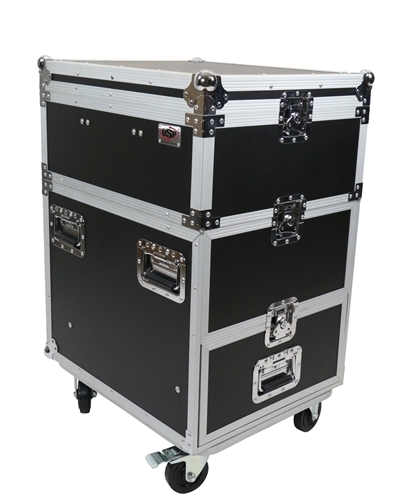 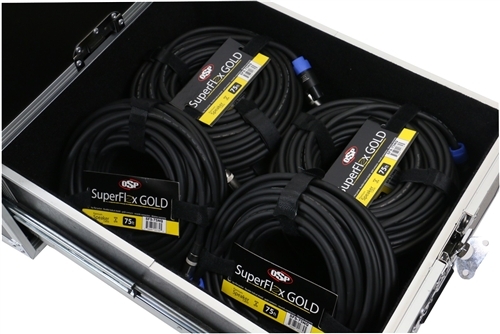 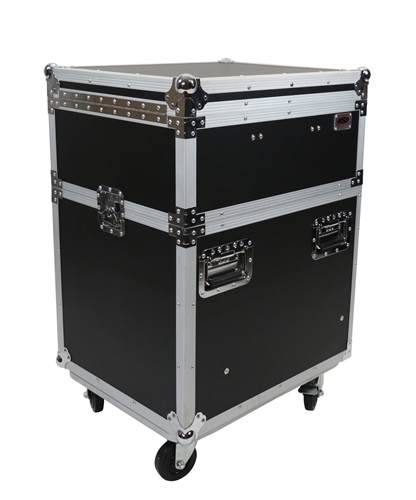 The Pro-Work-SDC Sliding Drawer Case by OSP is an innovative multi-purpose utility production tour case. 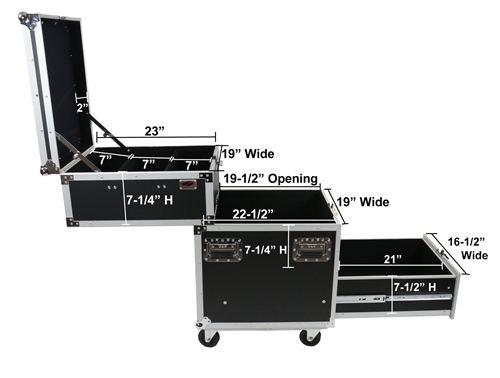 It features 3 separate storage compartments each of which have their own unique features and are covered by industrial black carpet. 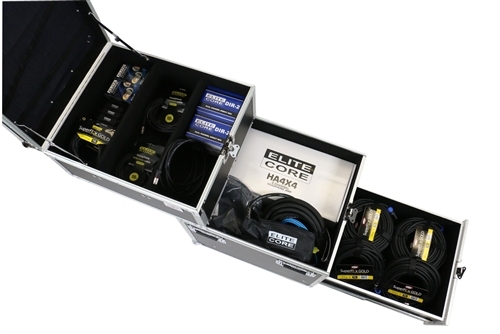 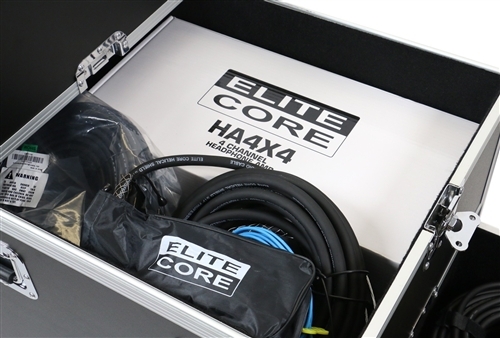 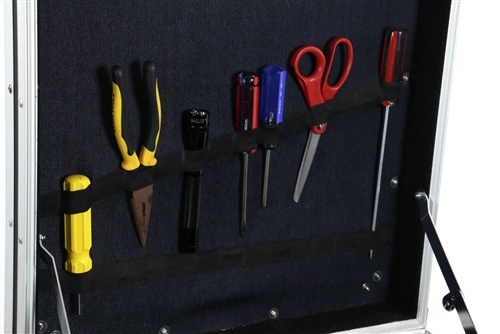 Open the top section lid and it reveals 3 parallel storage slots along with several elastic bands inside the lid which allow easy storage of tools and accessories. 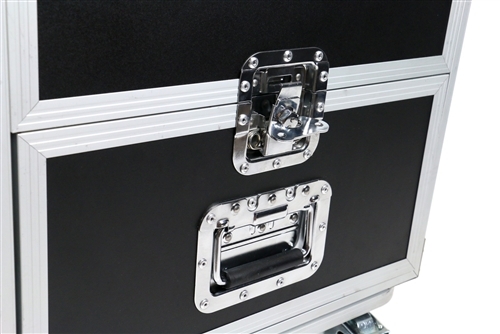 The second section simply slides toward the rear of the case which reveals another storage compartment. 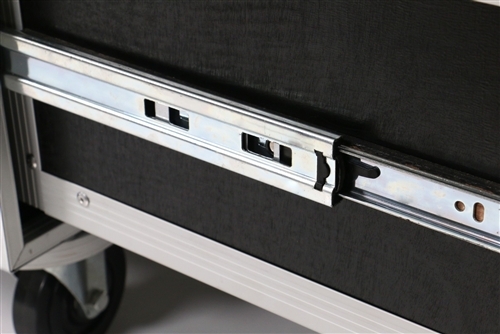 And if that wasn't enough, then there is a sliding drawer which makes the third hearty storage section. 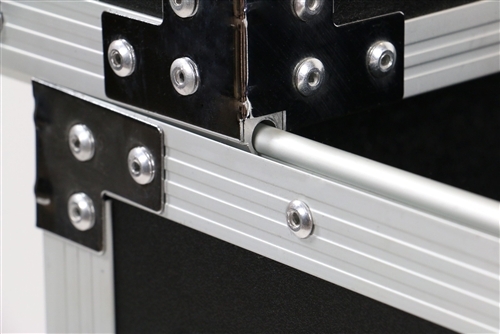 It features sturdy drawer glides which provide easy access.